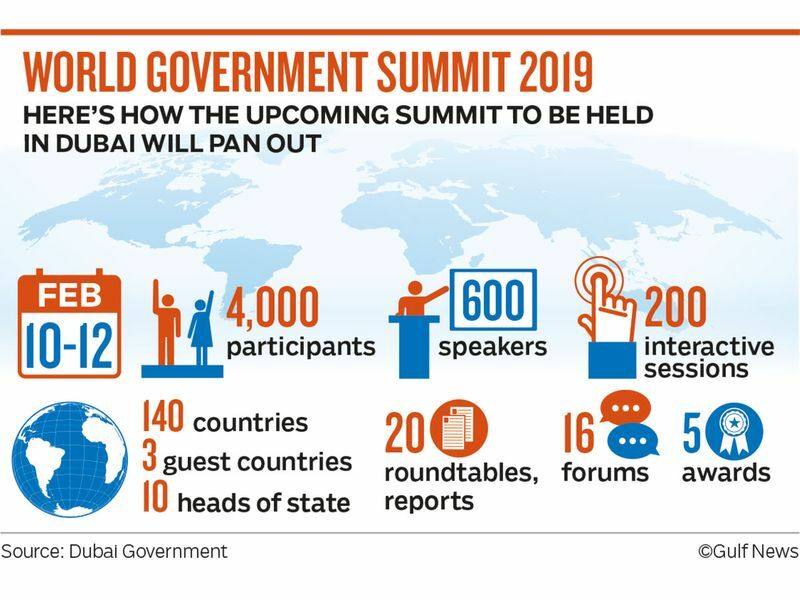 Dubai: A total of 4,000 participants, 600 speakers, including four Nobel laureates, 200 interactive sessions, 140 countries, 30 high-profile international organisations, 20 conclusive reports, 16 insightful forums, 10 heads of state and government and three guest nations — the much-awaited seventh edition of the World Government Summit to be held in Dubai from February 10 to 12 will the biggest and boldest yet. As Mohammad Abdullah Al Gergawi, Minister of Cabinet Affairs and the Future and chairman of the summit, disclosed the summit details at a briefing at the Jumeirah Emirates Towers in Dubai on Wednesday, he said: “The aim of the World Government Summit is to improve the quality of life of the seven billion people around the world by focusing on how best governments can use their resources to address the challenges facing humanity. The summit hinges on seven key pillars, all aimed at shaping a better future for the global citizen. The world has suffered because of the failure of governments. We need to prepare governments to face changes of the future, be it in education, health, transportation, infrastructure or technology. There are no developing or developed countries, just seven billion people looking for a happy and peaceful life. The idea behind inviting these countries as guests of honour, he noted, is to learn from their valuable experiences, whether it is Estonia’s exemplary deployment of digital technology, Costa Rica’s strategies in ensuring sustainable practices and a high quality of life for its people or post-conflict Rwanda’s governance in the adoption of modern technology. He said the upcoming summit would hold a record 16 forums that would look into various aspects of human life. They include the inaugural Government Services Forum, Global Dialogue for Happiness and Well-being, Global Governance of Artificial Intelligence Forum, Arab Youth Pitches, Global Policy Platform, Climate Change Forum, Sustainable Development Goals in Action Forum, Arab Fiscal Forum, Gender Equality Forum, Global Health Forum, Astana Civil Service Hub Forum, Advanced Skills Forum, Future for Government Communication Forum, Women’s Government Leaders Forum and Future of Humanitarian Aid Forum. Al Gergawi said five international awards have also been initiated. They include the Edge of Government Award, World’s Best Minister Award, GovTech Awards, Global Universities Challenge Award and the all-new Data Visualisation Award, which helps governments and decision-makers transform big data into understandable formats that can facilitate the enactment of laws, policies and decisions for the well-being of humanity. 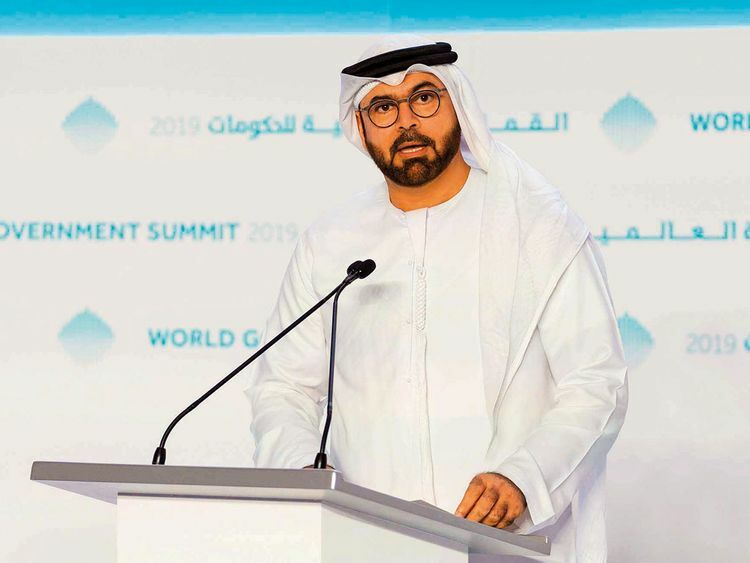 The minister’s address was followed by a panel discussion among the various partners of the World Government Summit 2019. Among other things, the panellists spoke of the achievements in their respective fields and how they would benefit from the summit. They included Sultan Ahmad Bin Sulayem, group chairman and CEO of DP World, Mattar Al Tayer, director-general, chairman of the board of executive directors of Road Transport Authority, Osman Sultan, CEO of Emirates Integrated Telecomunnications Company, Dawood Abdul Rahman Abdullah Al Hajri, director general of Dubai Municipality, Khalifa Abdullah Al Qubaisi, deputy director general of Abu Dhabi Fund for Development, Omar Almahmoud, CEO of ICT Fund and Khawla Al Muhairi, executive vice-president of strategy and government communications and chairperson of the women’s committee at DEWA.